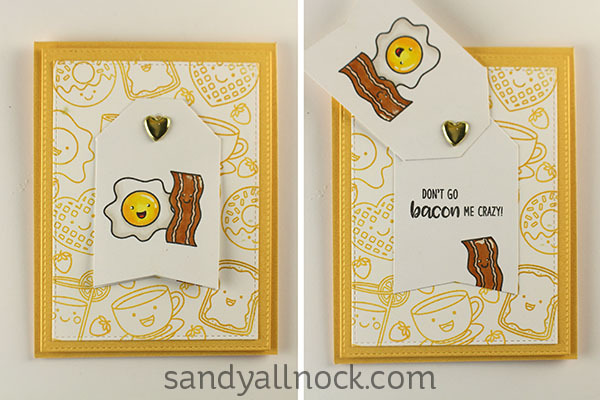 Fun little bacon puns, right!? There’s also a “MY HEART” so you can make it a love card too. 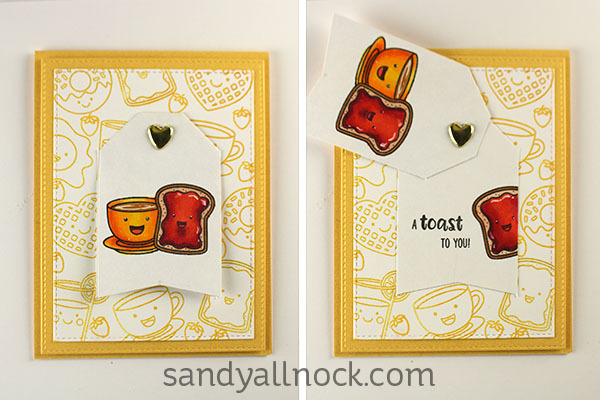 Toast might be something I’ll be using for Toastmasters cards…..
DONUTS! Need I say more!?!?!? Don’t know if this would make a difference with the Signo pen, but I notice that if I press down too hard on my white gel pen, it doesn’t write well. A light pressure allows the ink to flow smoother. Just a thought. Great cards for a raffle item. What a clever idea. 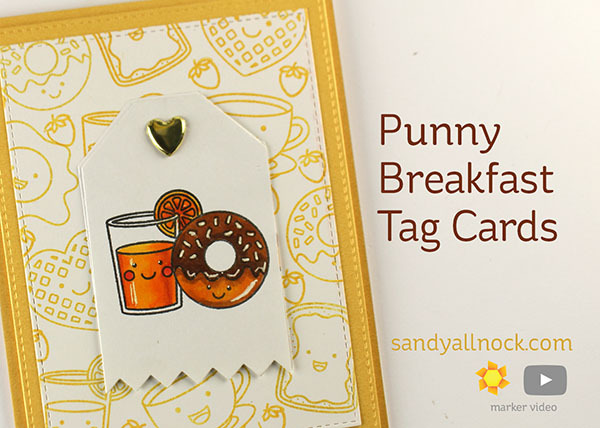 Love how you flip the tag to see the punny sentiments and your background is so sunny and happy in yellow. Love them! 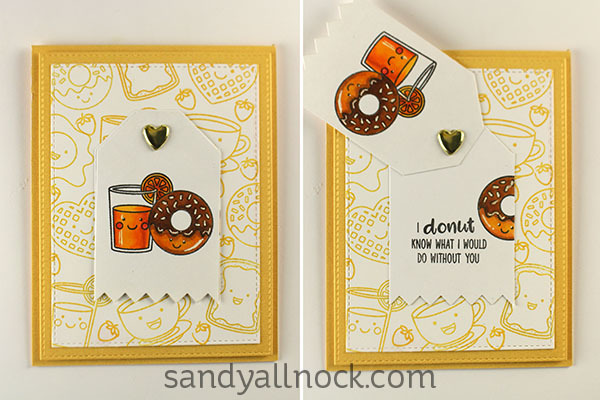 That is a great bunch of fun cards Sandy, thanks, it brightens my day! Love both this stamp set and card set. TFS! Glad you ‘saved your bacon’! 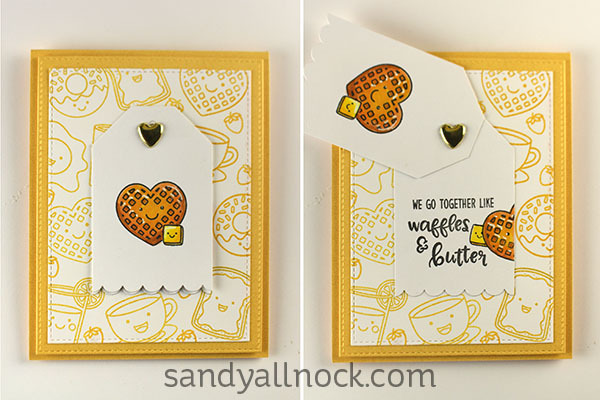 I’ll be honest – I too, love a good pun – great way to start the week, and really cute cards – I love the way you did the tag fronts.